Last week, I told the story of John and Goymer Shorten and their illegal exploits in several counties in England, discussing their luck in narrowly avoiding a Capitol sentence after they were apprehended for horse stealing. 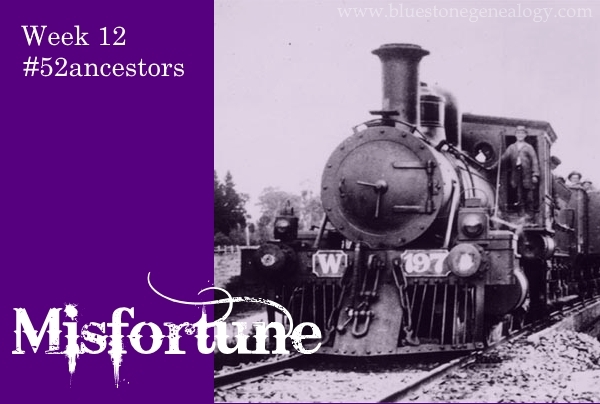 Week 12 of #52ancestors gives us the prompt of "misfortune." Misfortune is defined as bad luck; an unfortunate condition or event. For John Maguire, that unfortunate event occurred on Thursday, 2nd October 1913. 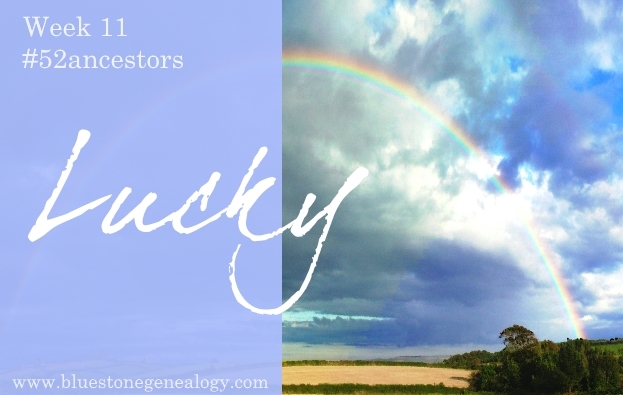 John Michael Maguire (sometimes Maguire, sometimes McGuire) was the first born of Patrick Maguire and Elizabeth Monaghan, and was my 2nd great-granduncle. 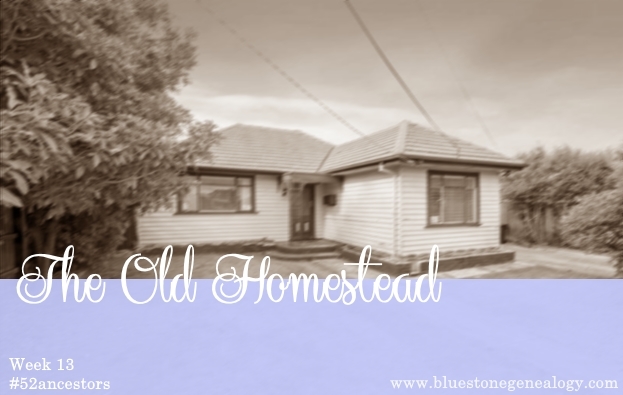 He was born around 1857 in County Meath, Ireland and traveled with his parents and his younger brother Patrick Michael (my x2 great grandfather) from Liverpool, England to Melbourne, Australia aboard the Phoenix on 21 July 1862. They were unassisted passengers, meaning they paid for their own passage to Australia, or were privately sponsored. 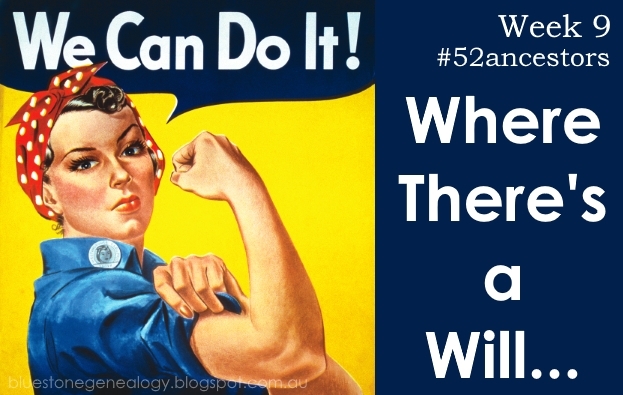 Week 9 of the #52ancestors challenge is 'Where There's a Will...' Like most people I originally interpreted this as a legal will, or as an ancestor named Will. 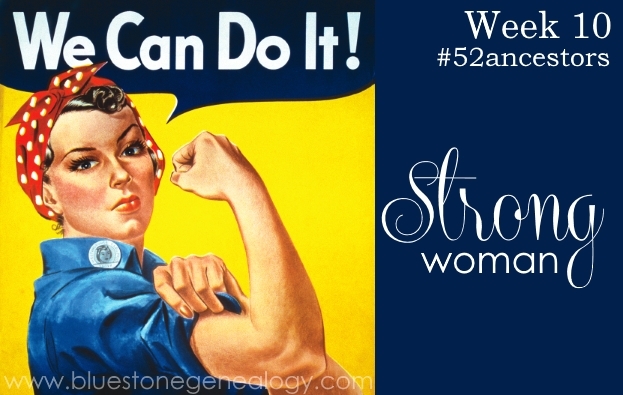 However, Amy Johnson Crow (the person behind the 52 ancestors in 52 weeks challenge) mentioned possibly talking about a person who was strong willed; an ancestor that possessed a lot of character. 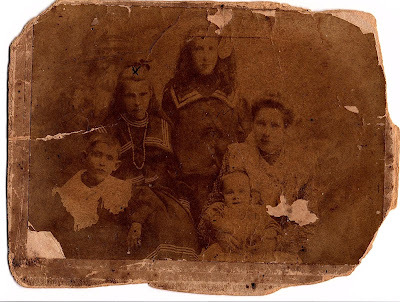 So today I am writing about Catherine Devitt, my third great-grandmother. Martin Devitt, labourer and his wife Ann Campbell welcomed a daughter named Catherine in 1836. At the time, they were living in a small town calledMilltown Malbay, located in the heart of Kilfarboy, in County Clare, Ireland.